Mitoku Organic Kuzu is naturally derived from the root of one of Japan's most vigorous wild plants using an age old traditional process that takes over 90 days. The result is a premium thickening agent with a delightfully smooth texture. 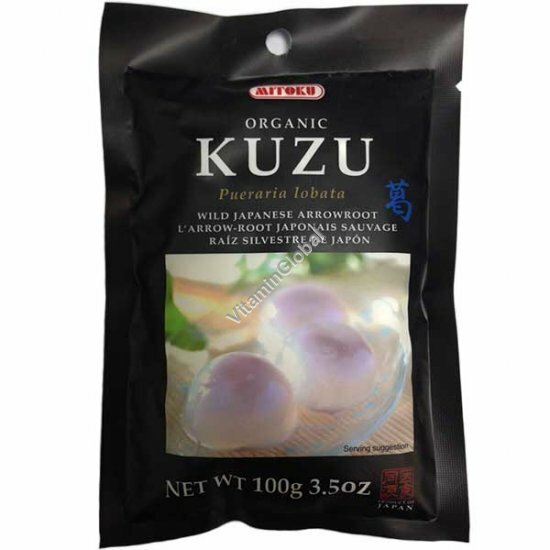 Kuzu root is the perfect all-natural thickener for soups, sauces and desserts. Mitoku Kuzu is 100% pure and absolutely no potato or other starch is added, as is common with other brands on the market. Kuzu is one of the world's largest vegetable roots and is often called "the wonder root." Kuzu is more revered than ginseng in Japan. Roots are the focal points of a plant's energy. This is why roots have always occupied a special place in man's diet, as well as in his medicine chest. Kuzu is truly a miracle food. Use as a natural thickening agent in cooking and as an effective restorative drink and digestive aid. Kuzu is revered in Japan, uniquely honored in both high cuisine and folk medicine. Uses: Use Kuzu to thicken gravy, soups, sweet and savory sauces, glazes, puddings, and pie fillings.